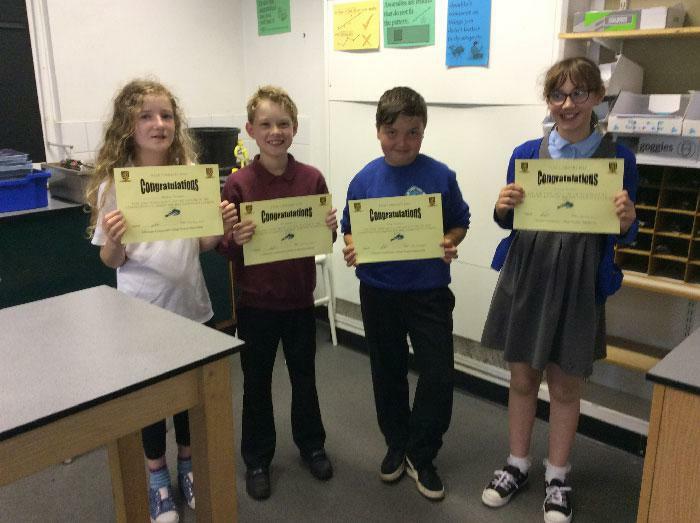 Year 5 children from Crosby Ravensworth and Asby schools enjoyed an afternoon of science at Ullswater Community College on Wednesday 21st June, accompanied by Ms. Lowthian. They designed and made parachutes to help an astronaut (an egg) land safely on Earth and extracted DNA from an alien fruit. The group won the parachute competition as they worked excellently as a team and their astronaut suffered no injuries whatsoever. The children were fantastic ambassadors for their schools - behaving impeccably and demonstrating excellent subject knowledge.